This fall marks two years since we took over Adventure Pet. It’s humbling to look back over this time to see just how far the company has come. When we first started with Adventure Pet we had 12 dogs in South Reno. Now, just two years later, we have 260 dogs. We have expanded to cover Reno from Washoe Valley to Verdi and into Golden Valley. We have always stressed that relationships are a large part of what Adventure Pet is about. Those relationships are as strong as family as well as the cornerstone of our success. 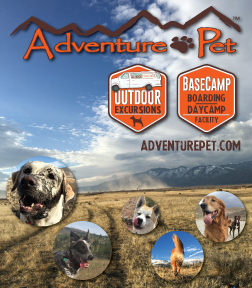 In July, Kristen Remington from KRNV did a story about Adventure Pet and in only two weeks the video was watched over 45,000 times on Facebook. The success of spreading that message was completely driven by you, our clients, who shared and forwarded that video to friends and family. Our upcoming boarding and DayCamp facility, called BaseCamp, is a venture that has been completely driven by our clients. Because you asked we are now fortunate to build a facility designed to fulfill our clients’ requests. We’ve spent the last year visiting countless boarding and daycare facilities to learn about what would be best to implement for our facility. We are also pursuing exciting relationships with trainers and veterinarians to further expand our circle of care. It’s hard to express how grateful we are for our clients. They are the reason we push ourselves, dream big dreams and hit the trails every day. 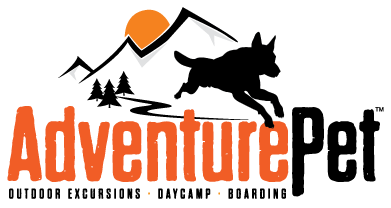 Thanks for all that you do to support our business here at Adventure Pet.